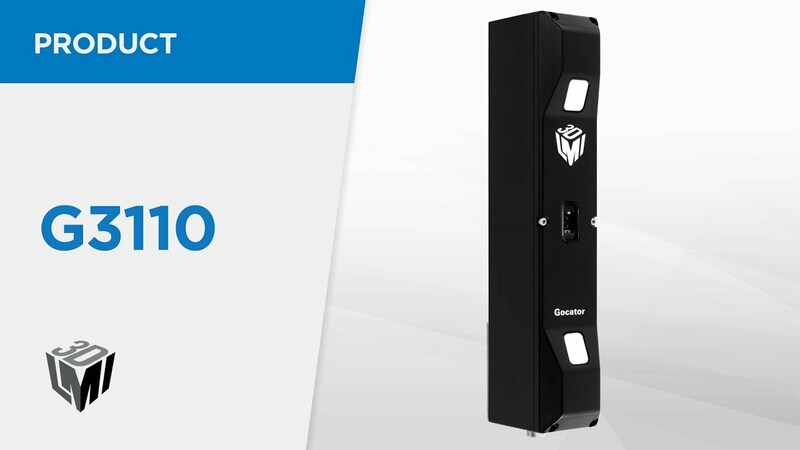 The new Gocator 3100 series of 3D smart snapshot sensors are ideal for a wide variety of non-contact, in-line inspection applications where objects must remain stationary. They combine 3D point cloud acquisition and a rich set of volumetric and specific 3D feature measurement tools in a single industrial package. Gocator 3100 snapshot sensors can be used in many inspection applications from automotive to reverse engineering. The latest addition to STEMMER IMAGING’s portfolio of 3D smart measurement sensors, the Gocator 3100 features an integral structured blue LED light projection illumination source with stereo scanning technology that allows 3D point clouds to be captured in a single snapshot, even under challenging ambient light conditions. It performs high-resolution non-contact measurement at up to 5Hz. The Gocator 3100 is ideal for dimensional measurement of many features such as holes, slots, studs and gap & flush. In common with other Gocator products, the unique all-in-one design puts everything needed for set up, measurement, and control in one web-enabled, pre-calibrated package. With no additional software to install, Gocator can work with any computer and operating system. Powerful built-in tools provide a full suite of measurement capabilities to turn 3D data into real-time measurements to solve most inspection challenges. Specific measurement tools include rectangular opening, circular opening, slot, cylinder, threaded stud, corners, edges, and gap & flush. Gocator’s IP67 housing, small form factor and weight of less than 1.5kg make it ideal for fitting into small spaces and mounting on robots.